Do You Have Sediment In Your Wine? Learn How to Remove It. If you are really into wine, the anticipation of the exquisite array of flavors dancing on your palate can be intoxicating. The thoughts start in the afternoon at work and the drive home is endless. The other drivers are all idiots because they are constantly in your way, creating yet another barrier to that first glass of wine. What should take 30 minutes seems to take twice as long. You arrive home, pour your nectar, take that first sip and…what the hell? Who put pulp in my wine? Orange juice is supposed to have pulp. Wine isn’t. 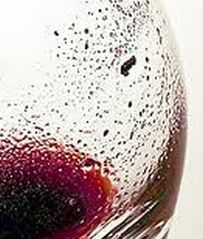 What you’ve just experienced are wine sediments, and even if they are naturally occurring and completely harmless, wine sediments are really damned unappealing. Wine sediment takes two primary forms. The most common, stems from the wine making process itself. Usually called “lees”, this all-encompassing term refers to the dead yeast, bits of wine grape skin, crushed seeds, stems and various proteins that form during crush and fermentation (or fall into the tank…hopefully nothing too disgusting). Particularly with heavier wines, contact with the lees is a good thing if not taken to the extreme. They impart complexity and body to wines. After a while though, wine sediment lees become like that house guest that stays too long. At first, it’s great to see them. Several days to several weeks later, you are waiting for them to gracefully leave on their own. The problem with lees though, is that they never take the hint and leave by themselves. They’re like that house guest that’s still desperately clinging to the front door frame while you are pushing them and their bags outside. Unlike that house guest however, wine sediment lees will at least settle at the bottom of the barrel where given the proper treatment, they can be removed. To remove the lees, the wine can be fined, racked and/or filtered. Fining wines involves introducing a substance into wine that will attract larger wine sediment particles. The most common fining material is bentonite, a fine clay made from volcanic ash. The charges of the bentonite attract sediment particles, which then eventually settle at the bottom of the barrel. Racking a wine involves siphoning off most of the wine from a barrel while leaving the sludgy layer of sediment at the bottom of the barrel undisturbed. In theory, this newly racked wine is much clearer than it was in the original barrel. Some wines are racked multiple times. Filtering is pretty self-explanatory. The wine is run through a filter and the larger particles are removed. The problem with filtering though is that it can also remove desired smaller particles as well that give the wine its character. The other type of wine sediment that is most commonly seen are Tartrates. Tartrates, are nasty, gritty little nuggets that hide in the bottom of wine bottles, ready to pounce on the unsuspecting wine drinker. Tartrates are actually a type of salt crystal that forms when Tartaric Acid combines with Potassium. While Potassium does occur naturally in wines, the preferred method of fining wines with Bentonite also introduces Potassium. If a winemaker is heavy handed with the Bentonite, Tartrates are more likely to form. Larger wineries chill wine almost to freezing which accelerates the growth of Tartrates. The wine is then siphoned off leaving a grit free liquid. The better the wine however, the more likely that Tartrates might form because few good quality wines use cold stabilization because it tends to rob wine of much of the character the winemaker has tried so hard to preserve. OK…so we’ve established that regular wine sediment from lees is unpleasant and Tartrates are downright nasty but is there anything that can be done about them so they don’t spoil the wine drinking experience? The best way to remove wine sediment is with a decanter. We’ve discussed decanters in the wine breathing section but perhaps the most important reason to use one is to remove sediments from wine. Remember that the decanter is just the vessel that is receiving the wine and it actually does nothing to remove the sediment. The trick to removing sediment is how you pour the wine into the decanter. To effectively remove sediment from wine, observe the following steps. 1) Have your decanter, wine opener and a small flashlight with a flat base ready and in the location that you are going to pour the wine. Make sure the flashlight is turned on and set next to the decanter where the neck of the wine bottle will be when you are pouring the wine. Don’t grab the wine and then run around looking for the decanter, opener and light. Why? Read below. 2) Do not shake, stir, rotate, flip, drop or otherwise molest your wine. To remove sediment from a bottle of wine, the sediment has to be stable and sitting in the lowest portion of the bottle. Assuming you have stored your wine correctly by laying it down with the label up so you can see it, the lowest portion of the bottle is the side that is opposite the label. Carefully remove the bottle from its storage location and gently tip it upright so you can open it. 3) After opening the bottle, gently tip it back to begin your pour. It is important to keep the label side up so the sediment residue is still resting on the bottom of the bottle. 4) Gently pour the wine into the decanter looking through the neck of the wine bottle with the flashlight illuminating it from below. The purpose of the light is to show you when sediment is starting to flow out of the bottle with the wine. When you see the sediment, flowing towards the opening, gently tip the bottle back to a vertical position to stop pouring. It’s critical to avoid the “glug…glug” noise of air being forced back into the bottle because every time it “glugs”, it splashes the wine against the back of the bottle creating currents that will stir up sediment. If you can’t get the hang of the decanter method or don’t have one available, you can take a couple of layers of cheesecloth and pour the wine through that, although smaller Tartrate crystals can still find their way into your glass. Remember that wine sediment, while unpleasant, is a naturally occurring part of wine making. Don’t gripe about it if you have it. Just eliminate it. Just opened up a bottle of Cupcake Pinot Noir wine and found them but then its been resting on its side for four years.